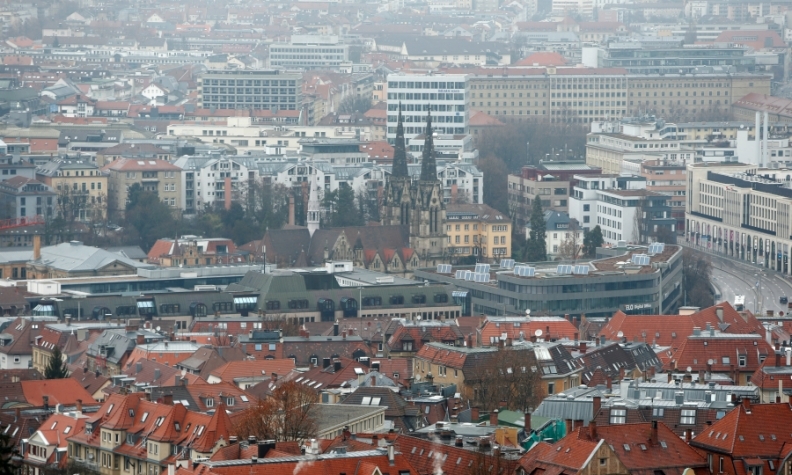 Stuttgart regularly reports pollution levels above the EU's designated safe levels. BERLIN -- The German state of Baden-Wuerttemberg, home to Mercedes-Benz and Porsche, said it would appeal against a court ruling obliging it to ban diesel cars from the streets of its capital, Stuttgart, meaning the ban will not come into force at the start of 2018 as planned. The government of the southwestern region said on Monday it would appeal, after a court said a ban was the only way to meet European Union standards for nitrogen oxides (NOx) and dust particle emissions. Stuttgart regularly reports pollution levels above the designated safe levels proscribed by the EU. Baden-Wuerttemberg, governed by a coalition of conservatives and environmentalist Greens, had already said it would study the court ruling before deciding if and when it would impose the ban, sought by environmental group DUH, in January 2018. Since Volkswagen Group admitted in September 2015 to cheating emissions tests, diesel cars have been scrutinized for NOx emissions, which are blamed for causing respiratory disease. DUH went to court two months after the VW scandal broke seeking to force the city of Stuttgart, which is also home to suppliers Robert Bosch and Mahle, to drastically improve its air quality by banning diesel cars. The appeal to the Federal Administrative Court in Leipzig means the lower court's ruling does not need to be implemented pending an appeal judgement. The city has since said it would bar diesel cars that do not conform to the latest emissions standards on days when pollution is heavy.